French street artist JR’s mural of Montgomery residents has begun installation at One Court Square downtown. 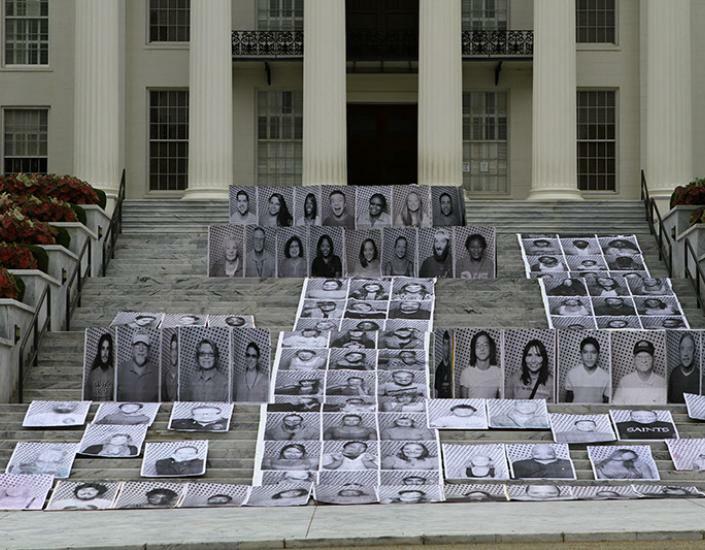 The Inside Out project had photographed more than 16-hundred people in Montgomery as of Sunday afternoon. Sarah Beatty Buller with local revitalizer Montgomery Builds says 2-thousand pictures are supposed to be taken, but the turnout has been greater than anticipated. The project has continued all week and in fact, an Inside Out pop-up photo booth will be on the campus of Alabama State University Thursday from 10am until 2pm for students, faculty, staff and alumni. It is going to be located in front of the Fred Shuttlesworth Dining Hall. r economic class and displays everyone as equally significant.